Learn the Lisfranc fixation for fracture-dislocation injury surgical technique with step by step instructions on OrthOracle. Our e-learning platform contains high resolution images and a certified CME of the Lisfranc fixation for fracture-dislocation injury surgical procedure. Fracture-dislocations of the tarso-metarsal joints are collectively given the eponymous name of Lisfranc injuries. In fact, the name Lisfranc only applies to the exceedingly strong plantar ligament that binds the base of the second metatarsal to the medial cuneiform. Invariably, this ligament is injured in a wide spectrum of injuries ranging from pure ligamentous injuries to multiple, comminuted fracture-dislocations of the tarso-metatarsal complex. Therefore, these injuries are difficult to meaningfully classify and there is no one surgical method to reconstruct them. Debate remains regarding the role of open reduction and internal fixation versus primary fusion or a combination of the two techniques. What seems to be true is that restoration of anatomy with either philosophy leads to the best results. Therefore, it is important that the surgeon can fully appreciate all injured structures and deal with each of them when reconstructing the midfoot. 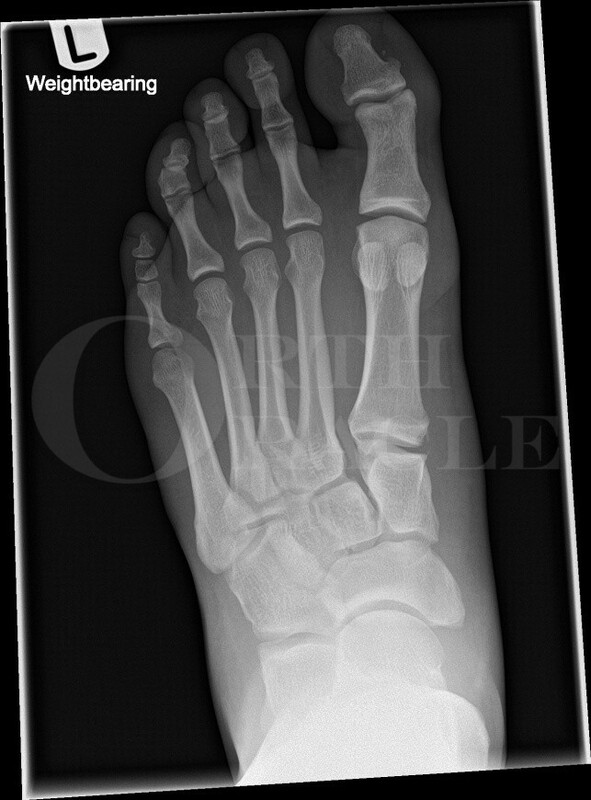 In this case, a 24-year old rugby player sustained a closed injury to his left foot during a game. He described his toes being fully planted on the ground with his heel in the air when an opponent fell heavily onto the heel and the foot twisted. He presented with a swollen, painful foot through which he found it difficult to bear weight.